Dr. Daley is professor of psychiatry in the department at Western Psychiatric Institute and Clinic at the University of Pittsburgh School of Medicine. 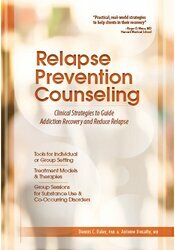 Dr. Daley has written over 300 publications including books and workbooks on recovery from addiction, mental illness, or co-occurring disorders, relapse prevention, emotions or moods and family recovery. Dr. Douaihy is associate professor of psychiatry, medical director of Addiction Medicine Services and medical director of Western Psychiatric Institute and Clinic’s inpatient dual diagnosis programs. He has authored or co-authored numerous books and chapters, papers and recovery guides for individuals and families.